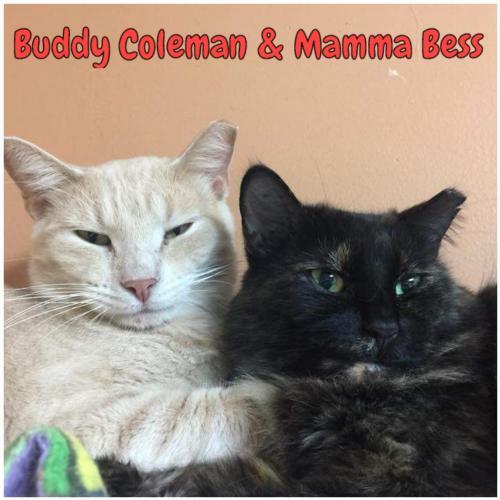 *Mamma Bess and Buddy Coleman are a bonded pair and must be adopted together. 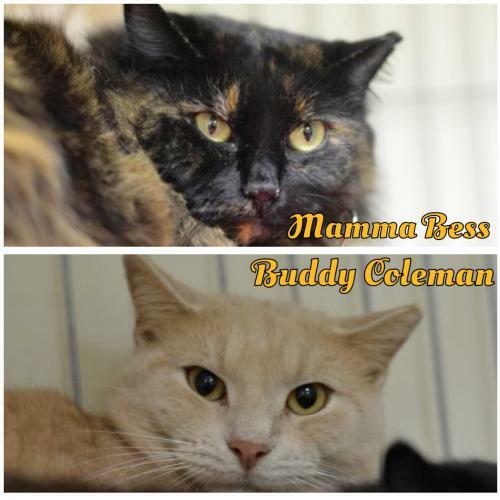 Mama Bess (172455), and Buddy Coleman (172456), are a pair of sweet bonded adults. 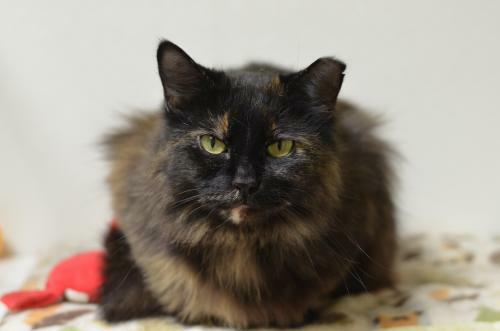 Mama Bess, is extremely shy, but has a fluffy tortoiseshell coat, and bright yellow eyes. Buddy Coleman, is a bit shy, but has a stunning buff, tabby coat with luminous yellow eyes. 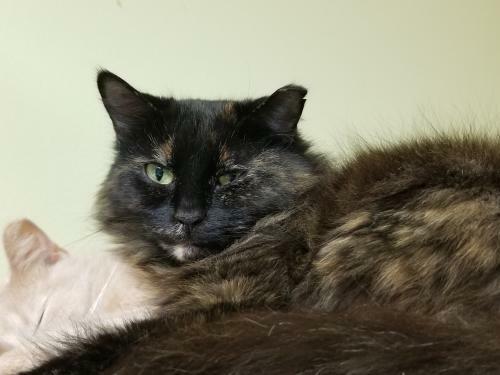 Rescued as strays, Mama Bess, and Buddy Coleman, currently would love to find a forever family to call their very own! Are you online filling out an application yet?